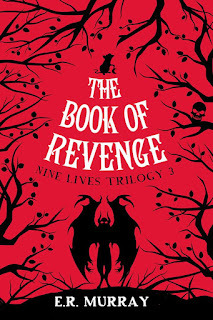 BleachHouseLibrary.ie: 'The Book of Revenge: Nine Lives Trilogy Book 3' by E.R. Murray. Q&A with Mia, aged 14. 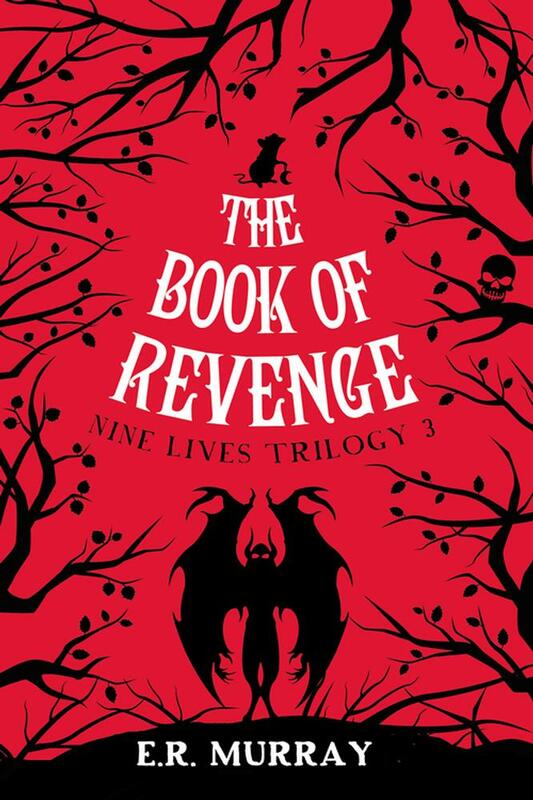 'The Book of Revenge: Nine Lives Trilogy Book 3' by E.R. Murray. Q&A with Mia, aged 14. In 'The Book of Revenge,' the final book in E.R. Murray's Nine Lives trilogy, Ebony Smart faces her toughest challenge so far. Her enemies, Judge Ambrose and Zach Stone, have a powerful new ally and an army of Shadow Walkers to use against her. Without the help of The Book of Learning, Ebony, with pet rat, Winston, and the Order of the Nine Lives, must find a way to discover their plans, defeat the magical beings and rescue her parents. A story of ghosts, time-travel, battles and dark magic, this is Ebony’s greatest adventure so far – but will it also be her last? Now that you’ve finished your first book series, are you going to miss the characters? Which would will you miss the most? Funnily enough, I won’t miss them like I expected. But I was working with these characters for eight years in total, if you count all the years prior to any publishing deal, and although I’m fond of the characters I created and I wanted to do my best for them by finishing the trilogy, I’ve been ready for new characters for some time now. But writers are like that; we’re magpies, always chasing the next shiny new idea. But out of all the characters, I think I would miss Winston the most – I enjoyed writing him so much and he developed way beyond what I expected when I started out writing The Book of Learning - Nine Lives Trilogy 1. I always knew that he was integral to the overall concept, but I thought he might be eclipsed by Uncle Cornelius. However, he took on a life of his own and stole the show. Do you plan on starting another book or series? I’ve already started two books and they’re both very different. One is for an adult audience and set in the future; the other is a potential series for children (aged 8-12) with a female protagonist and another interesting pet – this time, it’s a crow. I don’t know where these projects will lead and it’s really early days, but I’m enjoying writing them. I don’t ever like to not have a manuscript on the go – I tried that once and it felt really horrible to start from absolute zero with no guarantees, so I always have at least one first draft waiting in the wings for when the current priority project is finished. I started these current manuscripts as side projects while writing The Book of Shadows and The Book of Revenge – it meant I didn’t feel directionless when the trilogy was published and it also meant ideas could tick away in the background over time. If you were to choose one of these characters as a sidekick, who would you choose? Icarus, Winston, Chiyoko, Seamus or Uncle Cornelius? I’ve already given Winston some love, so I’m going to say Uncle Cornelius. He’s such a quirky character and lots of fun – I like the way he swings from being like a naughty, inquisitive kitten to a ferocious, protective beast. Plus, he’s big enough to take rides on – how could that be anything other than the best fun?! What do you imagine Ultimation would be like? Ooh, this is a great question! In my mind, it’s peaceful. Calm. With no bodily or human limitations, dissolving into the universe and all its nature, I can picture a sense of true freedom. Imagine no pain, no need to sleep, no conflict! And yet it would be as wild as wind and ocean storms, as well as nurturing and gentle like spring growth. I think it would be wonderful. Would you rather fight against Zach or Mrs O’Hara? I think Mrs O’Hara has more heart but Zach would be easier to overcome because he’s so hot headed and therefore, I’d rather challenge him. Mrs O’Hara has a powerful dark side and I get the feeling you shouldn’t mess with her. If you were faced with the same truth as Ebony at the start of the trilogy, how would you react? Although I’m intrigued by everything, I’m actually very practical and a quite a realist, so, just like Ebony in the beginning, there’s no way I’d believe that I was reincarnated. Ebony’s initial reaction is what influenced the title of the first book, The Book of Learning; she has to learn the truth and learn to accept it to survive the curse. I’d be difficult to convince – I’d probably fob everything off on a scientific basis – though I have seen ghosts when I don’t really believe in ghosts so you never know! Do you think there is actually a secret base in the Botanical Gardens? I think we should go and create one – how cool would that be? Especially the room based in the glass roof! I’ve always wanted to walk around those walkways up high, even though I know it’s probably not safe. But it looks so special up there. I always write stuff into my books that I want and can’t have, so that’s definitely where this idea came from originally. Was it more fun creating the Shadowlands and its inhabitants or 23 Mercury Lane? I really liked creating both, but 23 Mercury Lane was based on an apartment I lived in on Lower Hatch Street and had some real descriptions of features etc. The Shadowlands meant using more imagination and so I probably enjoyed that a bit more. I did like turning Mercury Lane into a kind of character in its own right and adding plenty of spookiness and fun additions like the breakfast room with its dump trucks and mini helicopters – I’d be too jumpy to live there though. If you were to pick one object that would stay with you throughout your life, what would it be? I’m not really sure. I’m not really a belongings person – I prefer to experience than to have – and I always lose stuff. So perhaps my passport? That way, I would never have to give up travelling and meeting new people or seeing/trying new things. I love travel. Travel and words – my two favourite things. Are there any characters in the trilogy based on people you know? I usually imagine a character and then steal bits of other people’s habits and personalities to make them come to life, but no character is ever based on just one person – at least not yet. But Ebony Smart is based on the kind of person I wish I had been when I was her age – I think she sticks up for people and bravely stands her ground, which was something I would often be afraid to do, particularly around bullies. I have some clear memories of when I let bullies won by turning away – it’s not something I would ever do now but I always felt powerless as a child and it frustrated me so much, I couldn’t wait to be an adult. I also have a close friend who Aunt Ruby is loosely based on – the way she is so free and doesn’t care what people think – but I don’t think she likes that character very much so I’m not going to reveal her name! I stole the name Cornelius from a man I met while out walking when I first visited West Cork, where I now live, and I pinched someone else’s fishing boat for some dramatic sea scenes. Other than that, the one-eyed dog Mitzi was my favourite of my father’s nine dogs, so I immortalised her in the book for being so friendly. Otherwise, they’re all make-believe. 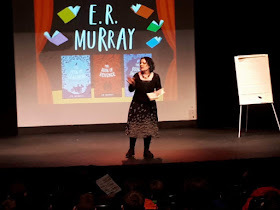 You can hear E.R.Murray talking about the Nine Lives Trilogy (and her top three reads) to myself and Bob Johntson, of the Gutter Bookshop, on Headstuff's Bookish Podcast. The Book of Revenge is published by Mercier press and is available in PB in all good book shops. Also available in ebook format.